"Co-ordination means absolute control from the tip of the toe to the very end of the stick, so that no motion of any part of the body may confuse the musical content of the score. A definite sign of a conductor's lack of co-ordination is his need to explain all his meanings through speech rather than through his stick during rehearsal periods. There is no question that a certain amount of speech is needed. But if you talk to your violin all day it will not play the passage for you. You must create the sound, the precision, the interpretation. So should the baton. It saves a great deal of time. The average orchestral musician is a sensitive human being, who reacts to the slightest motion, even that of a muscle, if it is intended to convey a musical message." 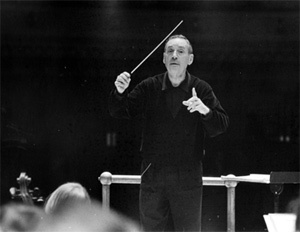 Léon Barzin (1900-1999) analysed Arturo Toscanini’s (1865-1957) conducting technique and taught it to a generation of students in the United States. The technique has been called "the singing stick", though it is by no means limited to the baton and is relevant to both choral and orchestral conducting. It is best described as complete integration of body movement combined with the use of the baton as an instrument, enabling the conductor to convey the music freely, clearly, and expressively. 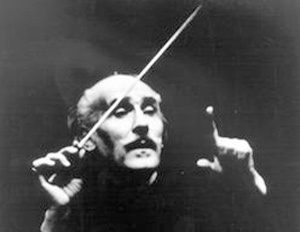 George Hurst (1926-2013) studied with Barzin, and also with Pierre Monteux (1875-1964). Monteux is chiefly remembered for having conducted the first performance of "The Rite of Spring", but he was a remarkable musician who had played the viola professionally for Brahms, Richter and Nikisch, was a venerated conductor in his own right, and who founded a conducting school in Hancock, Maine. 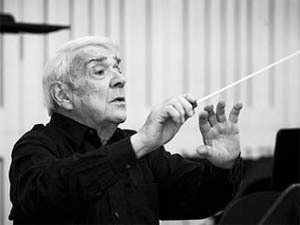 With the specific desire to impart this great tradition to future generations, George Hurst founded the Conductors’ Course at Canford Summer School of Music. The course has been so successful since its inception in 1960 that it still runs to this day at Sherborne Summer School of Music. Denise Ham observed George Hurst for many years and studied with him at Canford Summer School of Music. She joined the staff of the Conductors’ Course at Canford Summer School (now Sherborne) in 1982. She and George Hurst gave masterclasses in Gloucestershire, Cambridge, Portugal, Spain and London from 1997 until 2010.